Boeing’s latest forecast of its plane sales over the next 20 years have risen slightly from its last forecast. It now expects to sell a total of 34,000 planes in two decades, up from 33.500. It expects this will make it $4.5 trillion. Boeing anticipates demand from China, India and the emerging markets to be stronger than from Europe and America. It anticipates annual air passenger growth over 20 years of 5% and annual air freight growth of 5.2%. Boeing expects orders of 23,240 single-aisle planes, as low-cost carriers continue to grow at above average rates – and 7,950 twin-aisle planes, 790 large aircraft and 2,020 regional jets from 2012 to 2031. It expects the world freight fleet to nearly double from 1,740 aircraft currently to 3,200 in 20 years’ time. It expects the number of aircraft in the world to double in 20 years. “The world’s aviation market is broader, deeper and more diverse than we’ve ever seen it,” said Randy Tinseth, vice president of marketing at Boeing Commercial Airplanes. “Robust growth in China, India and other emerging markets is a major factor in the increased deliveries over the next 20 years,” the company said. 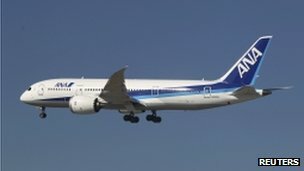 Wide bodied planes, those that have two passenger aisles such as Boeing’s 787 Dreamliner, are expected to account for nearly $2.5tn worth of new airplane deliveries with 40% of the demand coming from Asia. But it still expects the world freight fleet to nearly double from 1,740 aircraft currently to 3,200 in 20 years’ time. “That market’s going to come back when the economy comes back,” said Mr Tinseth. (Reuters) – Planemaker Boeing Co hiked its 20-year market forecast, predicting demand for 34,000 new aircraft worth $4.5 trillion, on growth in emerging regions and as airlines seek efficient new planes to counter high fuel costs. Many airlines are facing tough conditions as consumers and businesses in austerity-hit regions cut back on travel, while high fuel prices are taking their toll on profit. “I don’t think there’s any question that the forecast reflects the economic struggles we see today in some of the mature markets,” Randy Tinseth, vice president marketing at Boeing Commercial Airplanes, told a media briefing in London. The forecast did not take into account a possible collapse of the euro or the exit of any euro member, Tinseth said. Boeing said on Tuesday the market for new planes would become more geographically balanced over the next two decades, with the Asia-Pacific region leading the way in deliveries, as markets like China and India continued to grow. The company had last year forecast demand for 33,500 new passenger aircraft and freighters worth $4 trillion by 2030. “Robust growth in China, India and other emerging markets is a major factor in the increased deliveries over the next 20 years,” Boeing said. The company said airline traffic was forecast to grow at a 5 percent annual rate over the next 20 years, with cargo traffic seen growing at a rate of 5.2 percent. It saw the world fleet doubling over the next two decades. “Low-cost carriers, with their ability to stimulate traffic with low fares, are growing faster than the market as a whole,” the company said. Boeing said there was strong demand to replace older, less fuel-efficient aircraft, with replacements accounting for 41 percent of new deliveries in the forecast, which runs to 2031. There would be strong demand for replacement aircraft from Europe, the United States andRussia, Tinseth said. The Chicago-based company said it saw a market for 23,240 single-aisle aircraft over the next two decades – a category that includes its 737 and rival Airbus’s A320 – worth $2.03 trillion. It predicted demand for 7,950 twin-aisle aircraft – such as its 787 Dreamliner – worth $2.08 trillion and 790 large aircraft – the Airbus A380 or Boeing 747 – worth $280 billion over 20 years. Two fifths of the demand for widebody long-range aircraft would come from Asian airlines, Boeing said. It cut its forecast for the freighter market, blaming a cargo market that remains sluggish. It said it expected the world freighter fleet to nearly double from 1,740 aircraft today to 3,200 by 2031. Last year it had forecast the fleet would reach 3,500 by 2030. That market segment was flat last year and would perform below the long-term trend once again this year, hit by economic problems, high fuel prices and the fact that lower cost alternatives like shipping exist,” Tinseth said. “That market’s going to come back when the economy comes back,” he added. Boeing is forecasting worldwide demand for 34,000 new aircraft over the next 20 years, doubling the world fleet, in its latest market forecast. Despite the challenging market conditions, Boeing predicts 5% annual traffic growth over the two decades with Asia-Pacific maintaining its position as the lead recipient of aircraft. Boeing expects robust growth, with 23,240 single-aisle deliveries, as low-cost carriers continue to grow at above average rates and many embark on fleet renewals. Replacement aircraft will account for 41% of the 34,000 new deliveries. Boeing forecast a world total of 7,950 twin-aisle deliveries, 790 large aircraft and 2,020 regional jets to be ordered from 2012 to 2031. Posted: Tuesday, July 3rd, 2012. Filed in General News, Recent News.